Throughout the world, we provide scientific and professional communities with superior specialist information – produced by authors and colleagues across cultures in a nurtured collegial atmosphere of which we are justifiably proud. We foster communication among our customers – researchers, students and professionals – enabling them to work more efficiently, thereby advancing knowledge and learning. Our dynamic growth allows us to invest continually all over the world. We think ahead, move fast and promote change: creative business models, inventive products, and mutually beneficial international partnerships have established us as a trusted supplier and pioneer in the information age. In 2009 Springer started to build up an effective and transparent Compliance Management System. All of these pillars serve to protect Springer more efficiently from material and immaterial damages. As a guide for day to day business, ethical principles which comply with local laws and regulations have been defined and implemented. Due to an extension of the organizational and monitoring duties, liability risks should be minimized. The only risks that remain are those which are unforeseeable, which may occur as a result of human errors or misjudgments, or a deliberate violation of these principles. Thomas Thiekoetter is Springer’s Global Compliance Officer. He is available to all employees, suppliers and customers, for consultation and support in all questions concerning compliance, harassment, discrimination or fraud protection. Thomas Thiekötter has direct access to Springer’s Audit Committee. This ensures that breaches or suspicions of breaches of law or internal regulations are dealt with appropriately. Additionally all employees, suppliers and customers can contact Elke Schaefer, attorney at law. As a neutral and external ombudswoman, Elke Schaefer is obligated to maintain confidentiality as well. The professional whistle-blowing system BKMS has been implemented in order to strengthen the early disclosure of risks or misconduct, and to protect Springer from material and non-material damage. BKMS is available to all employees and business partners via the Internet and can be used to address non-compliances, complaints or recommendations. Springer´s System of Guidelines comprises the Code of Conduct, global guidelines which apply to all Springer entities or corporate processes and local guidelines. The Code of Conduct sets out Springer’s legal and ethical principles; it is the guide for the day-to-day business to all employees, managers and directors at Springer. The global and local guidelines provide detailed rules for specific business transactions or for particular countries or entities. Springer informs its employees about the Compliance Management System by using different channels and media. All information and documents about the system are available on Springer´s intranet. Videos explain in an “easy to digest” way the basic principles of Springer’s Code of Conduct and some of Springer’s major global guidelines. Additionally eLearning programs have been developed to raise awareness for anti-corruption measurements and potential threats regarding competition and anti-trust compliance. Finally Springer’s Compliance Officer supported by Internal Audit offers sessions at all Springer’s locations worldwide to inform local staff about the major components of Springer’s Compliance System. Springer prepares and distributes twice a year a Compliance Report for the Springer Group summarizing single compliance reports received through the whistle-blowing system and presenting the status of the various ongoing initiatives related to Compliance. Based on that report the Springer management regularly reviews the effectiveness and efficiency of the Compliance System. The report is distributed to Springer´s owners, BC Partners, to Springer´s Management Board and to external auditors. Springer has constantly challenged its Compliance System over the last years. Step by step resources, tools and processes have been optimized or amended to meet the changing requirements set by external parties or by Springer itself. Thus Springer is raising compliance awareness and ensures that environmental, safety and health consciousness among its employees and business partners remains at a high level. Springer will continue to develop and adapt its Compliance Management System in the future. Springer expects from its suppliers to familiarize themselves with and adhere to the business, ethical and environmental, health and safety standards as laid out in Springer´s Supplier Code of Conduct. Specific suppliers will receive this code of conduct per email. Additionally to ensure compliance with these standards Springer regularly performs supplier audits either as standardized self-declaration request or alternatively as on-site audits performed by experienced Springer auditors. Our history is like a very good book: chapter after chapter, an interesting story unfolds. On 10 May 1842 (his 25th birthday), Julius Springer founded what is now Springer Science+Business Media in Berlin. Of course, the modern Springer is very different from the company that Julius Springer founded and there are parts of Springer (e.g. Vieweg and Bohn Stafleu van Loghum) that were founded even before 1842. The first of Julius Springer’s ventures was a bookstore in Berlin, quickly followed by the publishing house. A. E. Kluwer, the other “father” of the present day company (BertelsmannSpringer and Kluwer Academic Publishers merged in 2004) also founded his publishing house in the 19th Century in the Netherlands. After the founding of the Vienna office in 1924, Springer opened another branch in New York in 1964, followed by counterparts in Tokyo, London, Paris and Hong Kong shortly thereafter. The company quickly became one of the world’s leading scientific publishers. In 1999, Bertelsmann acquired a majority share in Springer-Verlag. In 2003, the British financial investors Cinven and Candover acquired Kluwer Academic Publishers (KAP) and BertelsmannSpringer, which were merged in 2004 to form the present-day Springer Science+Business Media. In October 2008, Springer announced the acquisition of BioMed Central, a pioneer in the world of open access publishing, making Springer, in effect, the world’s largest open access publisher. In 2013, the sale of Springer to BC Partners, one of the few truly pan-European investors, was announced. Healthy organic growth and recent acquisitions, the embrace of technological advances (i.e. ePublishing, new platforms, mobile) and its dedicated employees provide the basis for sustainable service to the global scientific and professional community. Do you mean Springer, Springer or Springer? What do we share with Merck and GE? The fact that our company name causes confusion. There are several companies in the publishing sector with “Springer” in the name. To make things even more confusing, two ”Springers” have their roots in Germany and two were started by members of the same family. Two of them have a large presence in Berlin and two are primarily active in STM (scientific, technical and medical) publishing, one of which is the largest eBook and open access publisher in the sector. One of these companies is a leading multimedia company with newspapers, magazines, digital media and television interests. But which is which, and why should you care? We’re going to talk about three “Springers” here, but if you include wider media sectors, such as printing, etc., there are even more. The three “Springers” we will discuss do not have any kind of business links to each other, and never have. Let’s start with the largest by revenue and work our way down. Axel Springer SE was founded in Hamburg, Germany in 1946 by the publisher of the same name, and now has its headquarters in Berlin. In Germany, this Springer is best known for its tabloid Bild and its broadsheet newspapers such as Die Welt. There is much more, however – digital media, online marketing and classified ad portals as well as TV and radio holdings, to name a few. The 12,800 people that work at Axel Springer SE generated total revenues in 2013 of about EUR 2.8 billion, and its CEO is Dr. Mathias Döpfner. Axel Springer SE is listed on the German stock exchange (MDAX). Springer Science+Business Media was founded in Berlin in 1842 by Julius Springer. Today, this Springer is a leading global scientific, technical and medical publisher, providing researchers in academia, scientific institutions and corporate R & D departments with quality content via innovative information products and services. 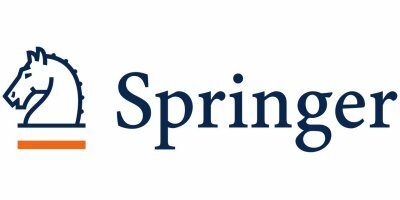 Springer published roughly 2,200 English-language journals and more than 8,400 new books in 2013, and the group is home to the world’s largest STM eBook collection, as well as the most comprehensive portfolio of open access journals. Springer employs more than 7,000 individuals across the globe, and generated sales of approximately EUR 943 million in 2013. Derk Haank is the CEO of Springer Science+Business Media. Its logo is a stylized chess knight (“horse”), since “Springer” is the German word for the “knight” in chess. Springer Publishing Company was founded in New York in 1950 by Dr. Bernhard Springer, the great grandson of Julius Springer. Springer Publishing is known as an innovative nursing, psychology, counseling, public health, social work, gerontology, and rehabilitation publisher. Ted Nardin is the CEO of Springer Publishing, which is privately held by Mannheim Holdings LLC, part of the Mannheim Trust. We just want to finish with reminding you that despite the similarity in name, and even some relation by blood, these are three very separate companies. So if you’re writing about Springer, or you read or hear something about a Springer, you might want to take a second look to make sure you’ve got the right one!